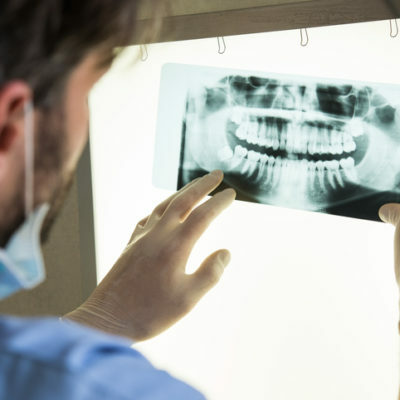 Have you ever questioned whether dental x-rays are actually necessary? If you have, don’t worry, you’re not alone. In this day and age, we are all concerned about the cost of dental and medical care. It’s not unusual to analyze which services you need and which are not necessary. There are some things in life that are absolutely necessary, and some that are simply a luxury. When it comes to your health, it’s important to trust your healthcare professional. Routine maintenance is essential for dental hygiene. This includes dental cleanings every 6 months, dedication to an at-home oral hygiene routine, dietary maintenance, and regular x-rays. Additionally, people are increasingly becoming concerned with unnecessary radiation exposure. As dental professionals, we can assure you that when your dentist recommends a dental x-ray, it is absolutely necessary. Without x-rays, we could be missing problems such as gum disease, cavities, abscesses, and other dental conditions. While it is recommended to keep radiation exposure at a minimum, the risks of avoiding a dental x-ray could include hospitalization and even death. You may think that your teeth. gums or jaw would hurt or show some type of symptom if there were anything wrong. But in fact, not every oral disease can be diagnosed with an oral examination and not every oral disease shows physical symptoms at the onset. X-rays help us catch problems early on, and can prevent costly procedures such as root canals. Quite often, you won’t have any symptoms until the issue is quite painful, costly, and disruptive to your life. At our office, we recommend a full set of x-rays every three years and annual bitewing x-rays. But, every patient has individual and unique needs. Work with your dentist to determine what x-rays you’ll need and when. If you live in the Liverpool, NY area and are looking for a dental cleaning, x-rays or other dental work, give us a call!